Howard Cann briefly attended Dartmouth College and then transferred to New York University. During his freshman year in 1914, Howard was the leading scorer on the NYU men’s basketball team. He was captain of the 1916-1917 football team, where he played as a tackle, punter and also played in the backfield. Cann’s college career was interrupted for two years by military service in World War I. 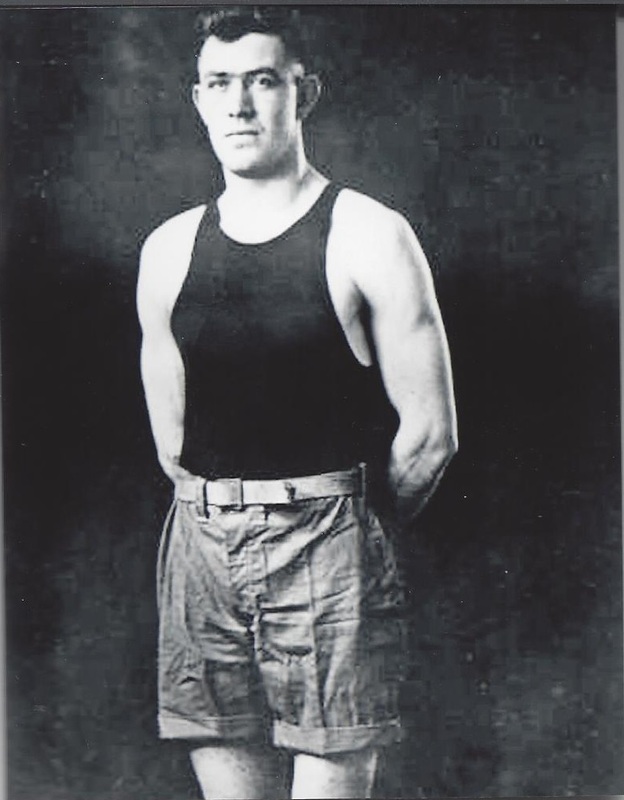 He returned to NYU in time for the 1919-20 basketball season and led the team to an AAU National Championship title. At the end of the season he was named an All-American and the Helms Foundation College Player of the Year. In the summer of 1920, he participated in the Olympic Games in Antwerp as a shot putter. Three years after graduating from NYU, Cann returned to the school as the men’s basketball coach. He coached the team for thirty-five years, from 1923 to 1958, and compiled a 409-232 record. His 1933-34 team was unbeaten and Cann’s 1934-35 team finished the season with an 18–1 record and was retroactively named the national champion by the Helms Athletic Association. His 1944–45 team made it to the final game of the NCAA tournament, but lost the championship to Oklahoma State. Cann was named National Coach of the Year in 1947 and led the Violets to the NIT final in 1948, but was defeated by St.Louis University. In 1968, Cann was inducted into the Basketball Hall of Fame.